Xiaomi Black Shark Helo goes official, World's first 10GB RAM phone. 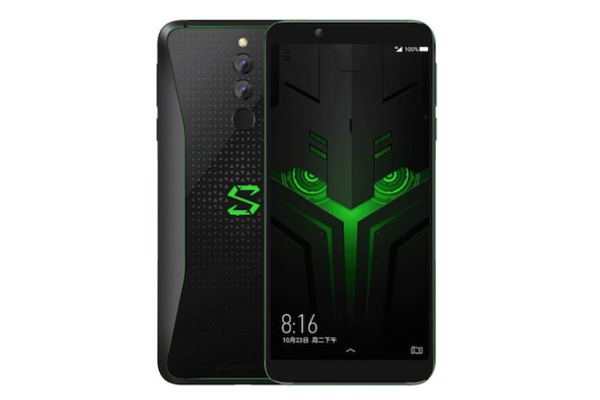 Xiaomi has today announced Black Shark Helo gaming smartphone, successor of the Black Shark. The Black Shark Helo has a dedicated two-stage SHARK key that provides immersive gaming experience. In addition to the standard detachable left gamepad like the predecessor, the Black Shark Helo has a right gamepad with a touchpad that can be controlled at the same time. The Black Shark Helo features a 6.01-inch FHD+ AMOLED display and runs on Android 8.1 (Oreo) with Joy UI. It is powered by Snapdragon 845 Mobile Platform with up to 10GB RAM and 256GB storage. Xiaomi's Black Shark Helo comes with two liquid cooling pipes to keep the phone cool. It has a fingerprint sensor on the back and there is a glowing RGB logo too on the back with AI game lighting that changes depending on the game. It's equipped with 12MP+20MP rear cameras and there's also a 20MP front-facing camera. Xiaomi's Black Shark Helo is priced at 3199 yuan ($416 / ₹33,900) for the 6GB RAM+128GB version, 3499 yuan ($504 / ₹37,000) for the 8GB RAM+128GB version, 4199 yuan ($605 / ₹44,500) for the 10GB RAM+256GB version. The Black Shark Helo will be available for order from today and will go on sale in China from October 30th. When will this become available in America? Also how much?